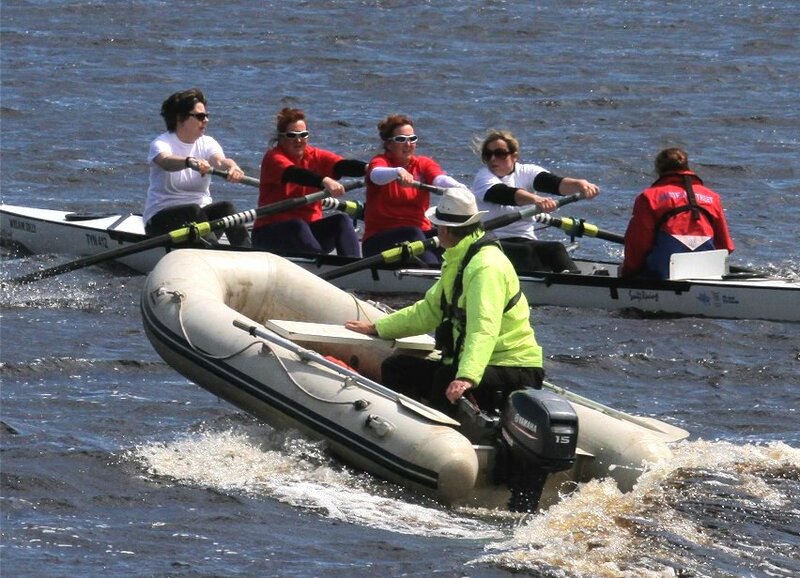 The Northern Rowing Council with the help of British Rowing set up the Northern Region Sunday League series in 2012 under the auspices of the national Explore Rowing scheme. We renamed it as the Explore Series,at the request of British Rowing in 2016, but as of 2019 we have now reverted to the old title of Sunday League (sorry BR). The series is aimed at recreational rowers, novices, recent graduates of learn to row courses and those returning to rowing after a break. In 2018, the seventh year of our Sunday League / Explore Series, we were to have eight events, but the first was cancelled, so we ran seven. We rounded off the series with an exciting event at Tyne ARC on 7 October. See the Round 8 page for more details of the day, but we ended up with open series winners being Barcing Mad (Berwick ARC) and joint winners in the women’s being TURC Ducks (Tyne United RC) and Tyne of your Life (Tyne ARC). The final league table for 2018 is here. * 2017 - archive * 2018 - archive. The steering group (Caroline Scholl, Colin Lawson and Colin Percy) have agreed a programme for 2019 with participating host clubs, as below. As each event approaches we will create a separate web page with details. That for Tyne ARC on 3 March 2019 will be ready by 22 Feb.
See in the Format and Rules below who is eligible to enter and what teams can consist of. The entry form (Excel spreadsheet) to be used is here. This should be returned each month by the Wednesday before the event in question to coordinator Colin Lawson at colin60lawson@gmail.com. After Round 1, Tyne ARC leads both Women’s and Open categories but only by a point or two, so plenty to fight for up till October. See the results from Tyne (and in effect the league table) here as a jpeg. Note you get one point just for racing and another if you win the two-boat race. In particular host clubs should note they are responsible for making sure there is full insurance cover for their home event under their own insurance policy; this includes cover for damage or loss to equipment borrowed from other clubs, unless the lending club has confirmed their cover still extends to use by the host. See the document here (pdf). By email for each event to entries coordinator - Colin Lawson at colin60lawson@gmail.com - with entry form attached. You can download the 2019 entry form as xlsx here. Entries close the Wednesday before the event. All teams from a club must be entered through one contact. - Race membership (more expensive, but means you can row in ‘proper’ rowing events). 18+ on the event day (coxes may be under 18). Not an event winner (sculling or sweep) at an affiliated regatta at the time of entry (but you can have old-style points if returning to rowing after a break). If you have a win at an affiliated regatta on a Saturday you can still compete (for the last time) in the Sunday League series event the day afterwards. Team members may have new ranking points from heads or regattas and still take part (subject to the above rule on regatta wins). Coxes can have rowing or coxing points and can have had wins at regattas. Individuals from an earlier year’s overall winning team can re-enter on condition that there are no more two in any new team. Each team may consist from 4 up to 9 members - this does not include coxes. A team may use any of the first six team members to race during the series without penalty; using the 7th, 8th or 9th members on a particular Sunday will result in half points (on that day only). If a team starts the series with 4 members only they may add up to the limit of 9 at later events. Any combination of team members can be used in different races on one day. Team members cannot be removed once they have taken part. Members can only represent 1 team per round, however they may change teams throughout the series. Coxes for a team’s races in a round can change and need not be from the team’s own club. New teams may join at any point throughout the series. Entry cost per round per team £12. Each event will be either sculling or sweep rowing in stable coxed quads or fours. Each event will be either Splash & Dash side-by-side racing or Skills Head races. Distance: Approximately 200 - 300 m, maximum 300 m, side-by-side racing. There will be a maximum of 40 races at any event. Points are topped up at the end of the day and added to the league table. Distance: Up to 1 km head races to include a selection of required skills en route. A course map will be provided by the host club a minimum of 2 weeks before the event. - Other skills can be added when/as required. Teams race twice, with the times added up to form the final time. Points are added to the league table at the end of the day. There are series prizes for the Open & Women’s Teams with the most points after the final round. No prizes to be given at single events, to keep costs low. This page last updated on 17-03-19.